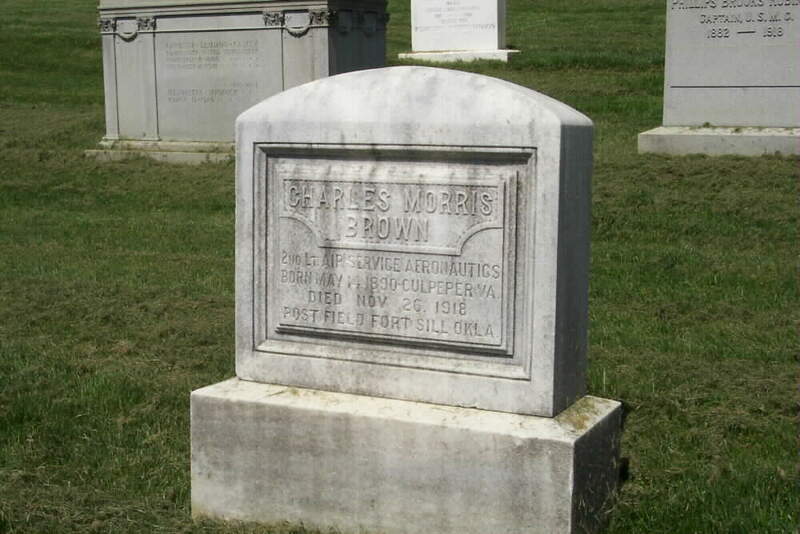 Charles Morris Brown was born at Culpepper, Virginia, on 14 May 1890. He served in the Air Service and was killed in an accident at Post Field, Fort Sill, Oklahoma, on 26 November 1918. He was buried with full military honors in Section 3 of Arlington National Cemetery.